Interactive spaces for education are emerging as a mechanism for fostering children’s natural ways of learning by means of play and exploration in physical spaces. The advanced interactive modalities and devices for such environments need to be both motivating and intuitive for children. Among the wide variety of interactive mechanisms, robots have been a popular research topic in the context of educational tools due to their attractiveness for children. However, few studies have focused on how children would naturally interact and explore interactive environments with robots. While there is abundant research on full-body interaction and intuitive manipulation of robots by adults, no similar research has been done with children. This paper therefore describes a gesture elicitation study that identified the preferred gestures and body language communication used by children to control ground robots. The results of the elicitation study were used to define a gestural language that covers the different preferences of the gestures by age group and gender, with a good acceptance rate in the 6–12 age range. 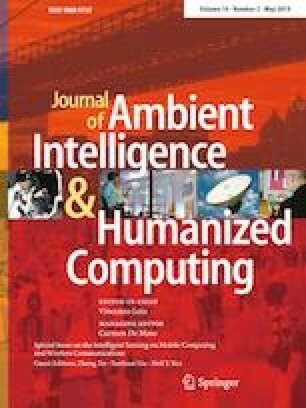 The study also revealed interactive spaces with robots using body gestures as motivating and promising scenarios for collaborative or remote learning activities. This work is funded by the European Development Regional Fund (EDRF-FEDER) and supported by the Spanish MINECO (TIN2014-60077-R). The work of Patricia Pons is supported by a national grant from the Spanish MECD (FPU13/03831). Special thanks are due to the children and teachers of the Col·legi Públic Vicente Gaos for their valuable collaboration and dedication.